G.L. c. 31 § 61A requires the personnel administrator to establish initial health and physical fitness standards which shall be applicable to all police officers and firefighters when they are appointed to permanent, temporary, intermittent, or reserve positions. No person appointed to a permanent, temporary or intermittent, or reserve police or firefighter position after November 1, 1996 shall perform the duties of such position until he shall have undergone initial medical and physical fitness examinations and shall have met such initial standards. The appointing board or officer shall provide initial medical and physical fitness examinations. If such person fails to pass an initial medical or physical fitness examination, he shall be eligible to undergo a re-examination within 16 weeks of the date of the failure of the initial examination. If he fails to pass the reexamination, his appointment shall be rescinded. No such person shall commence service or receive his regular compensation until such person passes the health examination or reexamination. In compliance with the aforementioned statute, the Human Resources Division has developed initial medical and physical fitness standards programs for police officer and firefighter positions. The purpose of these programs is to minimize health and safety risks to the public, fellow workers and police officers and fire fighters themselves. Physical fitness standards apply to civil service & wellness communities. A "wellness community" is one that has accepted either G.L. c. 31 § 61A and 61B or G.L. c. 32 § 22D. Every new hire in civil service & "wellness" communities must take Initial Medical and Physical Fitness Standards Examinations within 30 days of appointment. Each candidate who does not pass the Medical Standards Examination will not be permitted to take the Physical Fitness Standards Examination unless and until he/she passes the Medical Exam. Any candidate who fails the Medical Standards Examination or Physical Fitness Standards Examination may be re-tested after 16 weeks. An examinee who fails the medical examination is permitted one re-examination under the Initial Medical Standards Program. The subsequent re-examination should focus on the standards not met by the candidate in the initial examination and should entail a specialist examination. However, should the candidate’s failure in the initial examination involve procedural issues (e.g. a laboratory or diagnostic test not completed or not completed properly by the candidate), the subsequent re-examination must address the procedural issues in question, which may or may not necessitate a specialist exam. In either case, the outcome of the subsequent re-examination will take precedence over the outcome of the initial examination in determining whether a candidate meets the initial-hire medical standards. An examinee may appeal his or her failure of a subsequent re-examination directly to the Civil Service Commission. 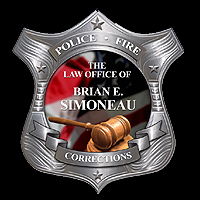 Candidates who have been denied appointment because of medical (or psychological) examination failures should contact Attorney Simoneau as soon as possible.